At TATOR Plumbing, with over 20 years of experience, we can fix your plumbing problems or upgrades, and work with you to have your home or business back to a working condition. 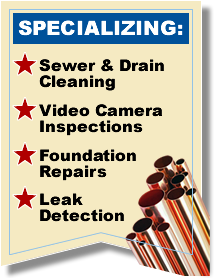 Our expert, and best plumbers around, can handle any situation. We guarantee our work to your satisfaction. You will not be disappointed with our superior services! Call us at (210) 346-1819 and find out how we can help you today. We proudly service San Antonio and its surrounding areas.